Many of you may well remember this from 32 years ago! 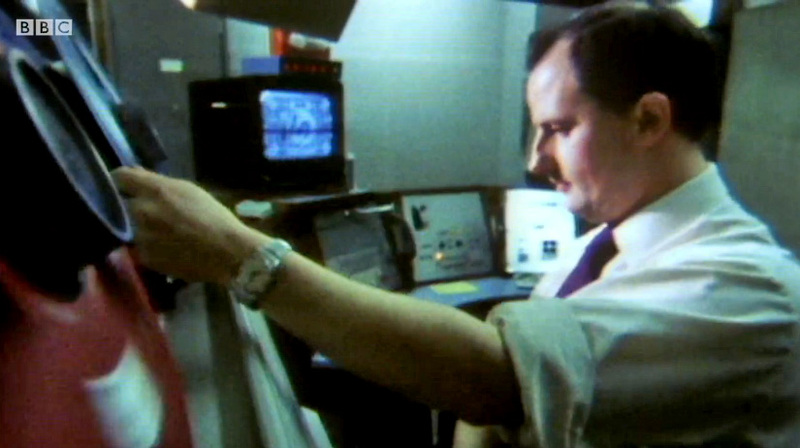 There had been a similar event in 1978 in TC1, where an exhibition of the latest video technology was assembled so that staff could see it for themselves and assess its potential. You can download the entire pdf here thanks to Phil Ashby who found it ‘in the back of his garage’! 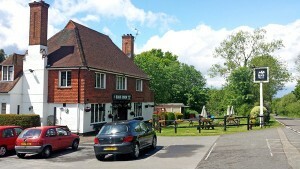 A blast from the past – but, where? John Farr contacted me to let me know about a shot in the titles of “The 80s with Dominic Sandbrook”, transmitted last Thursday, August 4th, on BBC2. 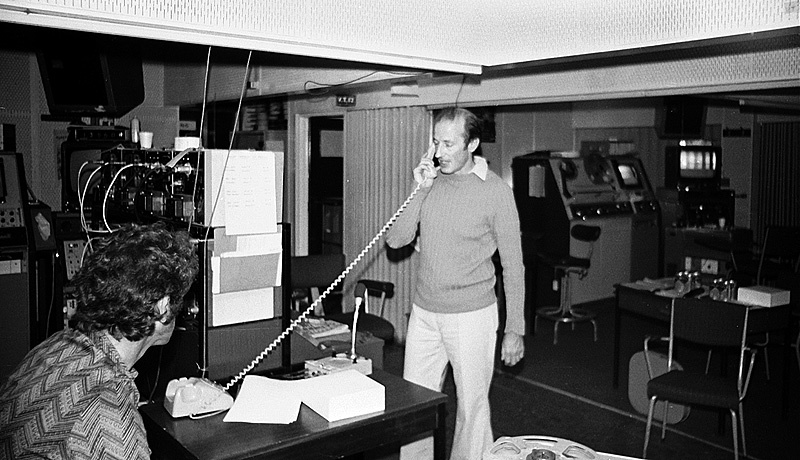 I’ve grabbed a frame from the third shot in the programme as it features the late Ron Sangster. The question is, which cubicle? Current thoughts are VT4, but, sitting here just before posting, could it be VT9? Answers in an email, please! I’ve just received this video from Keith Palmer. Just heard that Gareth Gwenlan passed away this morning. charles.fairall@bfi.org.uk thought that you may be interested in this job. We are looking to recruit an Archive Support Engineer on a fixed-term basis to join the Conservation team as soon as possible. This exciting role will provide expert engineering and technical support, maintaining and sustaining the diverse range of audio visual equipment, both analogue and digital, to meet a wide range of exciting archive objectives and projects. If you are fascinated with machinery and technologies, backed up by relevant qualifications and professional experience gained at a practical level, this role will involve working with electronic and electro-mechanical equipment and associated systems vital to the preservation of one of the world’s greatest collections of film and television. You will require strong technical aptitude and possess the necessary skills and knowledge to diagnose faults and repair equipment, working at component level. The ideal candidate will already have excellent knowledge of current and legacy video, audio, digital, television and film systems, spanning all historic technologies, although expert skills and knowledge exist within the team to support this role. The role is based at the BFI National Archive in Berkhamsted (nearest station is Berkhamsted) and is to start as soon as possible. You will enjoy benefits such as our BFI pension scheme, 28-33 days annual leave, tickets to BFI festivals and events plus many others. Further details about the role, including an information pack, can be obtained by clicking here. The closing date for applications is midnight on Tuesday 24th May 2016. First interviews will be held on Tuesday 31st May 2016. John Vigar has just informed me of the death of Jeff Goddard, last week. The funeral will be at Skipton Crematorium next Monday at 11.oo a.m. Many will have fond memories of Jeff………. A shameless plug for Chris Wadsworth’s new book, available on Amazon. 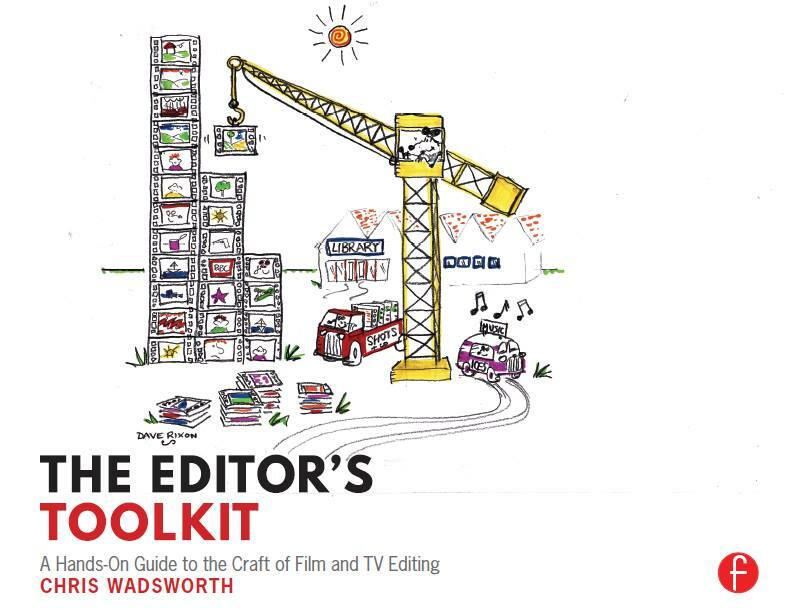 THE EDITOR’S TOOLKIT has just been published by Focal Press. Not about software and designed for most abilities and complete with 52 specially shot downloadable exercises, it is now available on Amazon and shortly on i-books. Most members of the BBC Television Recording Dept will recognise the front cover illustration is by Dave Rixon and there are more of his cartoons inside.There is a also companion website: editors-toolkit.co.uk where you can sample the book and download four free exercises. Share and enjoy – I hope.